Run a local oscillator tuned to the input signal through a phase error detector and a loop filter. The local oscillator is used to correct the phase and frequency of the input signal: , with current phase of the local oscillator. 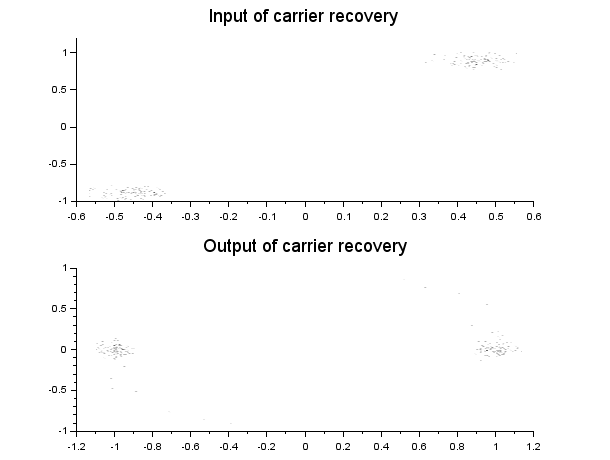 Example: BPSK signal with phase offset before and after carrier recovery.